Flood restoration can be an essential when you live in a South Florida city, like Fort Lauderdale, which is frequent target of hurricanes and tropical storms. service pros. 911 Restoration Miami brings over 35 years of experience to every flood cleanup. Our flood restoration Fort Lauderdale team is available 24/7, whether you need to clean up after storms or clean up after a plumbing leak, we are here for you. Fort Lauderdale is a gorgeous city that sits right on a white sandy beach overlooking the Atlantic Ocean. When most people in Fort Lauderdale consider the need for water damage restoration, they most think in terms of hurricanes. While hurricanes are an ever-present threat to the Fort Lauderdale community , most flood restoration calls are the result of plumbing failures. Our flood restoration Fort Lauderdale team are licensed to handle floods from pipe bursts, washer bursts, and ruptured hoses. In fact, we are licensed, insured and bonded for all types of flood restoration, so call us today for a free inspection. What Should I Do If I Have a Washer Burst? The first thing you should do if your washer bursts and floods your house is to shut off the water, and then call our flood restoration Fort Lauderdale experts. Locating and turning off the water line is essential to preventing further water damage to your home. Any type of appliance – a washer, refrigerator, or even a fire sprinkler – will continue to flood your home until the water is complete shut off. If you can’t locate your water line shut off valve, or if you don’t feel it is safe to turn off your water, wait for our flood restoration Fort Lauderdale professionals instead. 911 Restoration Miami responds within 45 minutes to all calls and we offer the most affordable flood restoration in South Florida. Flood restoration is affordable when you use a professional flood restoration Fort Lauderdale company. 911 Restoration Orlando offers an affordable price on all types of restoration services. In many cases, the out of pocket price for most of our customers is zero. By working with all insurance companies, we are able to help customers defray 99% of their costs. 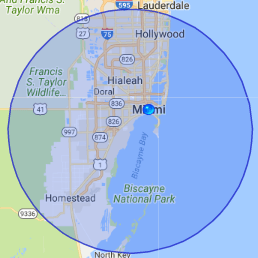 Most people in the Fort Lauderdale area have both homeowner’s insurance and flood insurance. Our flood restoration Fort Lauderdale experts will work with your insurance company to maximize your claim and we can even help file your claim for you. When you learn more about 911 Restoration Miami you will discover that we are the most reliable restoration company in Fort Lauderdale. Who is the Most Reliable Flood Restoration Company? 911 Restoration and our flood restoration Fort Lauderdale team are far and away the most reliable flood restoration company. We value professionalism and we always put the customer first. When you need fast, reliable flood cleanup you can rely on 911 Restoration Miami to be there. Want to find out more? Click here to read testimonials from satisfied customers. Call us today and experience the difference 911 Restoration can make in your life.